You've got to see this beautiful 1-story home with a built-in tenant! Owner wishes to sell and remain as tenant! Fantastic 3 bed 2 bath with stunning heated and cooled sunroom in a neighborhood with NO HOA! Peaceful screened front porch for enjoying our Carolina evenings greets you as you enter into the open floor plan! Split bedroom layout for privacy on a cul-de-sac street! Google fiber in community and neighborhood connects to greenway! 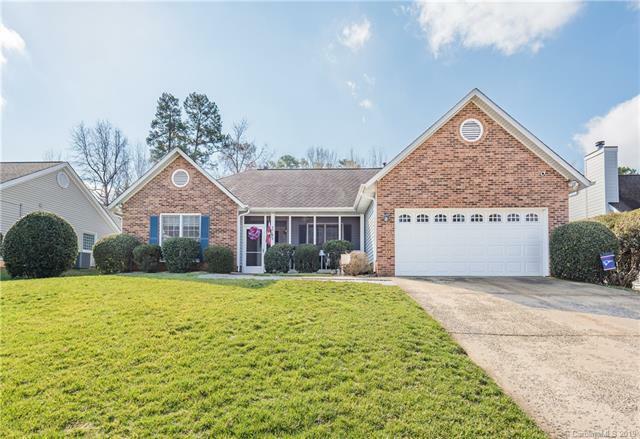 Only minutes from 485!Roof new in 2009, water heater 10/2017, Sunroom HVAC 7/2016, House A/C 7/2017, House Furnace 4/2014. Sunroom unpermitted. Sold by Allison & Associates Realty.